Ben Wyvis Scotch Whisky Distillery was built in 1965 and is owned by Invergordon Distillers. 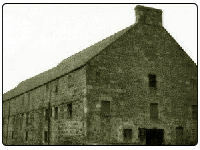 It was built within the grounds of the Invergordon Grain Distillery and its main aim was to export blened whisky onto the U.S. market, but in 1977 the distiilery closed and has not produced any whisky since. So as I said the main point of this distillery was to make a selection of blended whiskies. One of the brands that is available to buy, but is very limited is the Ben Wyvis 27 Year Old (1972 vintage). You can see the Ben Wyvis Single Malt Whisky Range on this website.